Seasons and Prices – 2019. NOW SOLD OUT! These prices include daily cleaning, all taxes and daily continental breakfast. Seasons and Prices – 2020. The villa will be upgraded hence the tariff changes. Guests are required to leave valid credit card details on arrival to the value of 2000 euro for any damages or expenses incurred during their stay, otherwise access to the villa will be denied. Beds : sleeps 12 + 2 pers. 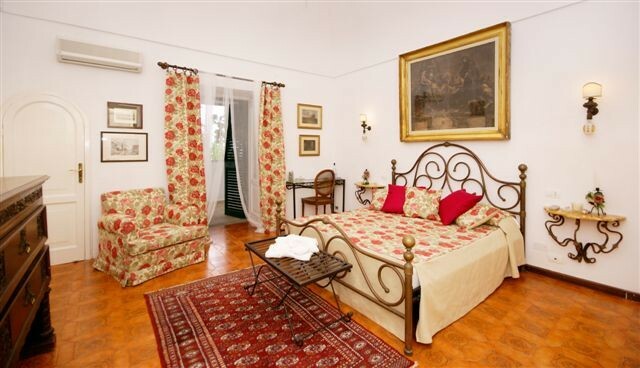 In 1968 Aniello Oliviero purchased this breathtaking villa from the Bertolli family, famous for it’s olive oil production, and during the last decade has developed and restored it into the luxury resort it is today. This breathtaking villa is perched on a rocky outcrop high above the bustling summer crowds of the Amalfi Coast and embraces one of the oldest and most local areas of the town of Positano. In the heat of the summer months it always seems 10 degrees cooler in this magnificent villa. It enjoys a 360 view of the Lattari Mountains, the Galli Is, the town of Positano and the Mediterranean Sea from as far west to east as meets the eye. On a clear day you can see the island of Capri. This wonderful property could be your dream holiday , special event or once in a life time wedding occasion- with total peace and quiet you wont miss a thing as this villas has THE bird’s eye view of the coast and all that happens within! 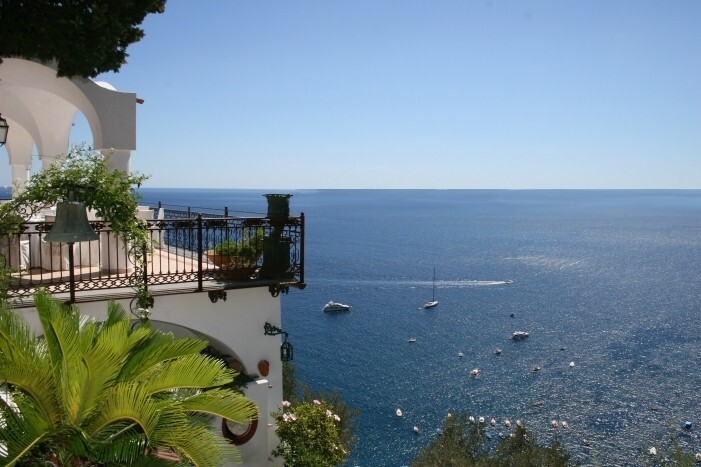 The villa is a stroll from the main road of Positano consisting of apx 90 gentle stairs and a pathway of apx 200 metres. Open air Jacuzzi – 2 hrs preparation time. Continental breakfast between 7.30 – 11am. Check- in time is tween 4 – 6.30pm unless otherwise organised. Check -out time is before 10am. Luggage transport to and from the villa is free of charge from 10am – 1pm and from 4 pm – 6 pm. All other times will be changed through the local porter company. Access to the swimming pool to children under 10 yrs of age is not accepted unless accompanied by an adult.